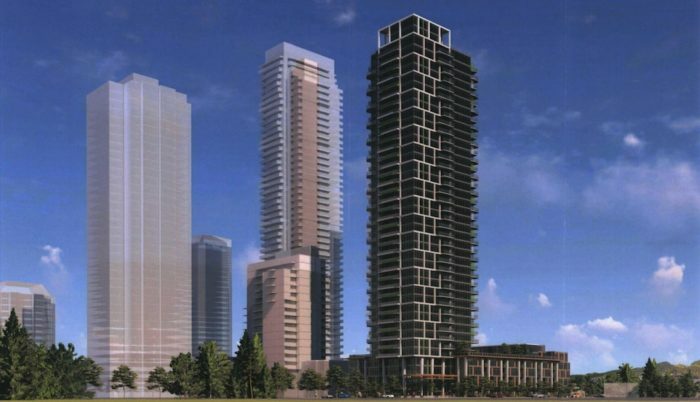 Coquitlam City Counsellors are in the process of reviewing a proposal from Polygon Homes for a 40 storey residential tower with a 5 storey commercial component. The proposed development site is an approximately 1.1 acre site at the south-west corner of Glen Drive and Westwood Street in the heart of what will soon be Coquitlam’s downtown core. The multi-use development is proposed to include 222 market condominiums and 51 market rental units as well as one storey of ground level commercial strata units with four storeys of strata office units above. The project has a proposed floor area ratio (FAR) of 6.4 and the initial plans indicated the construction of 427 parking stalls, of which two levels would be underground and four levels would be at or above grade. 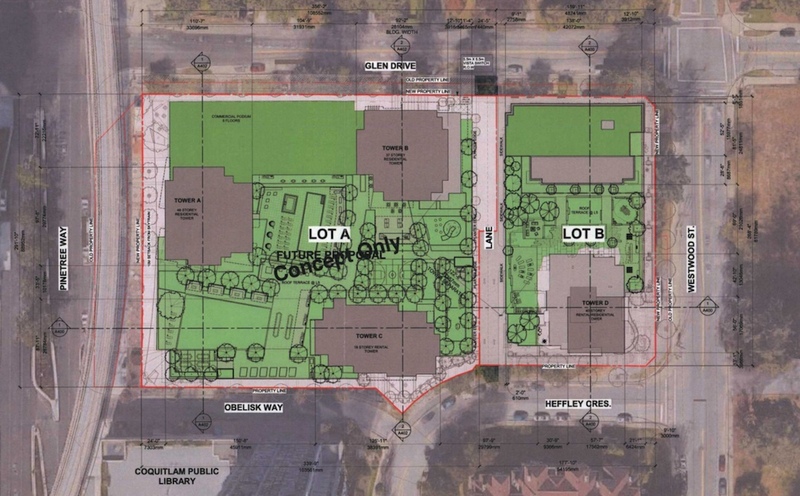 At first reading, the proposed development received positive reviews from City Council, who applauded the inclusion of much needed market rental housing in the City Centre. Counsellors were also complimentary regarding the development’s larger unit sizes. The project proposal features 197 two bedroom and 50 three bedroom units (compared to just 26 one bedroom units) which will undoubtedly cater to purchasers looking for family oriented housing within walking distance of City Centre’s new SkyTrain stations, which are conveniently located only 250 metres away. The development is also proposed to feature a multitude of amenities, across 20,000 square feet of floor space, intended to cater to a diverse spectrum of residents. 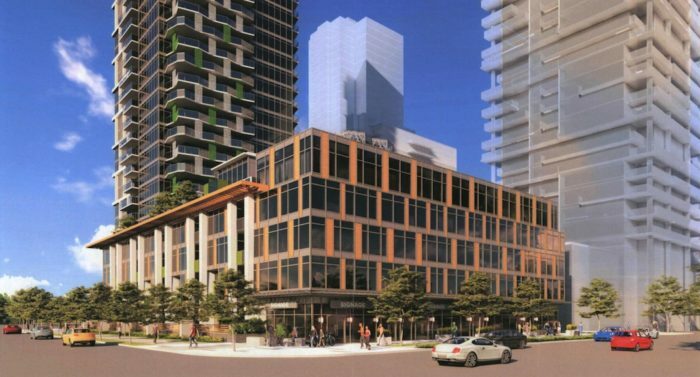 At the public hearing for the project, there was some opposition to the proposed density and height of the tower, which would be achieved through a “tailor made” Comprehensive Zoning District – a rarity for the City of Coquitlam. The reason for using the higher density CD zoning (as opposed to the OCP prescribed C4 commercial zoning) was to truly maximize the unique potential of this development site and to help kickstart the creation of a community in Downtown Coquitlam where residents will be able to “live, work and play” – a goal that was reiterated by council members during the public hearing. The inclusion of a substantial office component, City staff said, was desirable from a planning perspective. This component, and the site’s proximity to multiple SkyTrain stations, warranted the small increase in density. After some debate during the lengthy public hearing, the majority of City counsellors ended up supporting the proposed development and voted to give the project 3rd reading, with just one council vote in opposition. We can expect more lively debate regarding the future of this neighbourhood with the City Centre Area Plan update underway and many other projects in the works. For example, next door to the Polygon project is a development site owned by Onni Group. Onni has recently submitted their application for a development of similar scale and designed by the same architect, Chris Dikeakos. The Onni and Polygon developments will take shape in tandem to transform the neighbourhood adjacent to Glen Park, creating a world class master planned community and landmark development for Downtown Coquitlam, solidifying the area’s position as a regional downtown core. To learn more about these projects, the City Centre Area Plan update or planning in Coquitlam, in general, you can check out the City of Coquitlam’s planning and development resources on their website or drop by City Hall and speak to a member of the planning department. 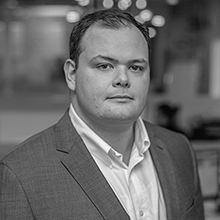 If you would like to learn more about development opportunities in Coquitlam, please contact Owen Yates Personal Real Estate Corporation or Adam Lawrence at his coordinates below.